A California man was arrested in connection with the deaths of his wife and two young children, according to the Modesto Police Department. Oscar Espinoza, 28, was released from the hospital Wednesday and booked to Stanislaus County Jail on three counts of murder. 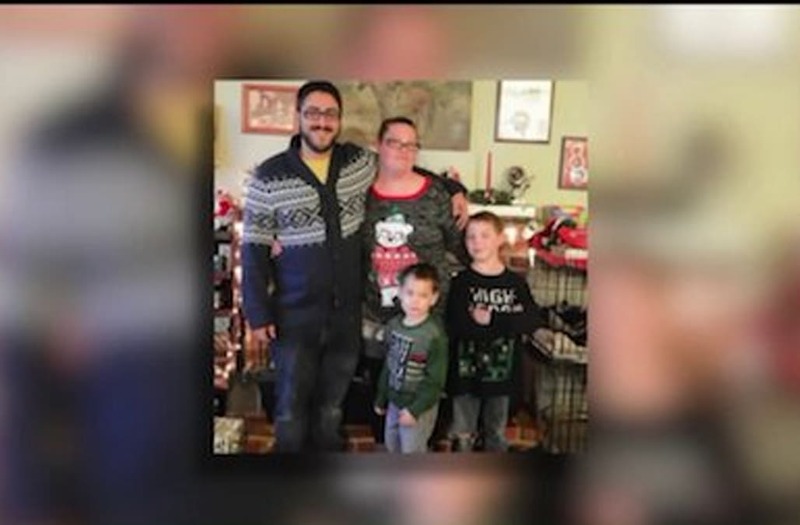 According to KTXL, he is accused of killing his wife, 30-year-old Tiffany Espinoza, his 4-year old son Edward Espinoza and his 9-year-old stepson Spencer Giese. Police arrived at the family home on Wednesday in response to a reported assault. Authorities found Oscar Espinoza in front of the home bloody and covered in what appeared to be self-inflicted injuries. He was then taken to a local hospital for treatment. When police conducted a security check inside the house, they found the bodies of the three victims with injuries consistent with blunt force trauma. The murder weapon was likely a baseball bat, KTXL reports. Matthew Page, Tiffany's brother-in-law, told KTXL that Tiffany always said her husband loved her and she felt safe. "It's very hard to process. All of us are still very shaken up. Just not something you expect to encounter in your lifetime," he told the station.